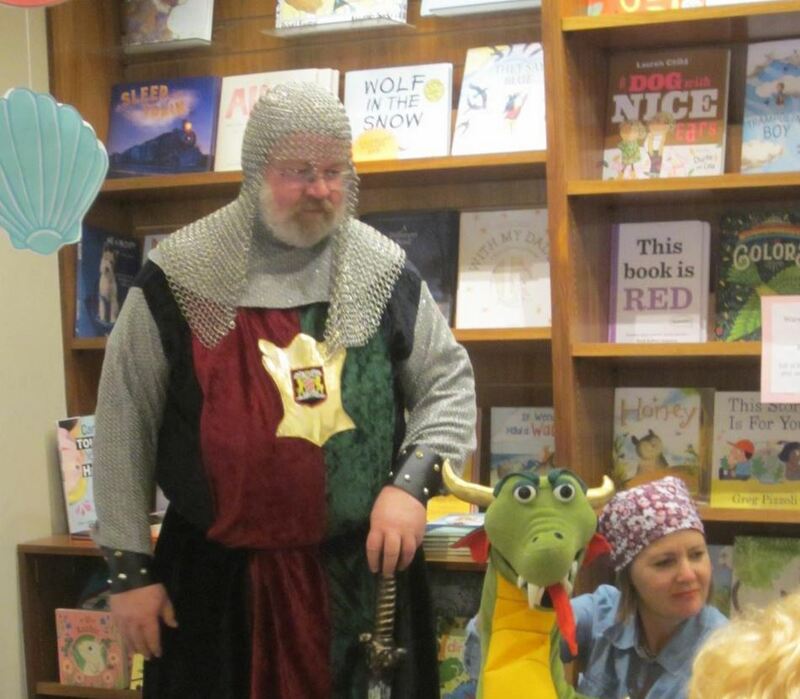 On Saturday, April 27th, Warwick’s will host our annual Saint Jordi’s Day festival celebration and Independent Bookstore Day! Saint Jordi’s Day is a day of books, roses, and romance, and Warwick’s is bringing it to La Jolla all the way from Barcelona. Our celebration will feature live music by Paty Sevener from 11-4pm, paella for purchase from Paella Lifestyle from 11-2pm, a costumed knight, and a bilingual children's storytime at 11am with La Jollan resident Esther Riera Mestre, who will read La Llegenda de Sant Jordi - St George's Legend - in Catalan and English. Saint Jordi is the Catalan name for Saint George, the patron saint of Catalonia. As legend has it, Saint Jordi slew a dragon to save a princess and then plucked a red rose for the princess from a rose bush which sprouted from the exact spot that the dragon's blood had spilled. To commemorate Saint Jordi's day, men and women in Barcelona take to the streets to buy and exchange books and roses for their sweethearts. More books are sold on this day in Barcelona than the entire rest of the year combined. 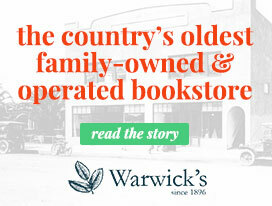 Join Warwick's in celebration of this unique cultural tradition! Warwick's and eight other local independent booksellers are taking part in the San Diego Independent Bookstore Crawl: a great opportunity to discover your San Diego area bookstores! For details click the link below, give us a call at (858) 454-0347, or stop by the store. We would love to tell you all about it! Make sure to use #sdbookcrawl in all your social media! 1. Pick up an official San Diego Bookstore Crawl Passport at any participating store: UC San Diego Bookstore, Mysterious Galaxy, La Playa Books, Bluestocking Books, Verbatim Books, The Library Shop, The Book Catapult, Run For Cover, or right here at Warwick's. 2. Collect passport stamps by making a purchase ($5 minimum) from each store Saturday, Sunday, or Monday April 27th-29th and you'll have the chance to earn prizes! 5 STAMPS Gets you a limited edition SD Book Crawl tote bag (while supplies last). 7 STAMPS Gets you the amazing top secret SD Book Crawl enamel pin (while supplies last). 8 STAMPS Earns you a Silver Raffle ticket for a curated gift basket from one of the nine bookstores($50 retail value) and an official San Diego Festival of Books swag bag, including 2 VIP Passes to this year's Festival of Books author panels, compliments of our friends at the San Diego Union Tribune. ALL 9 STAMPS Means you are an official friend of San Diego bookstores! Completing your passport means you are entered in the Gold Raffle which includes the aforementioned Festival of Books swag bag and over $200 worth of gift certificates from all nine shops! Also as part of Independent Bookstore Day, we will have EXCLUSIVE merchandise for sale that is only available in brick and mortar bookstores. Scroll down to see some of the items we'll have in stock, while supplies last! Libro.fm is offering anyone with a libro.fm membership FREE AUDIO BOOKS on Independent Bookstore Day. Creating an account is free, requires no credit card information, and comes with no commitment. Sign up now and you'll receive an e-mail on April 27th with instuctions on how to collect your free audio books!